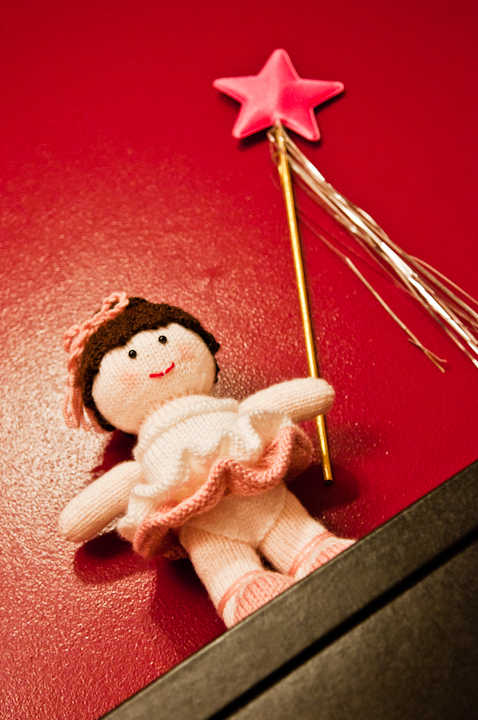 This lovely Ballerina is ready to dance, twirl, and spin her way to cyclingrandma‘s front door! Thank you again to everyone who participated in my first giveaway! So what will cyclingrandma be doing with this ballerina? I had a chance to chat with her via e-mail and this was her response: “I can’t wait to give it to my granddaughter, Meira who turns 1 year old in September. Not sure she’ll be ready for it then so might wait a few more months before giving it to her“. 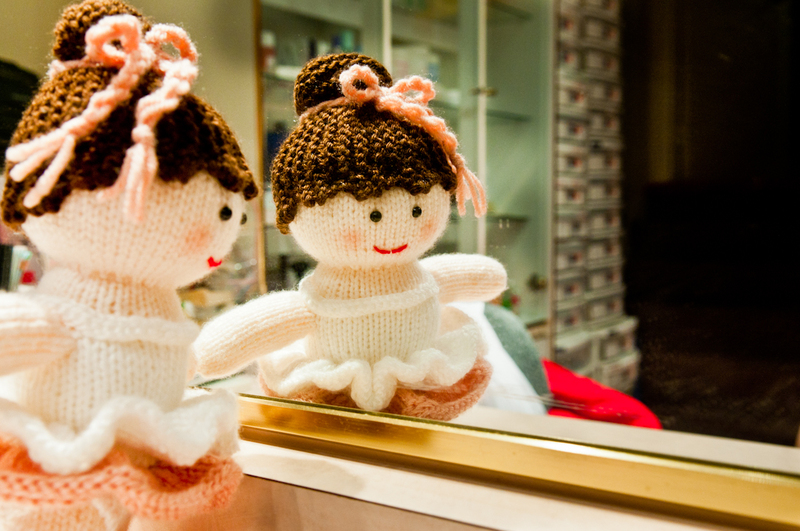 Hope your granddaughter will soon enjoy having an afternoon tea with this knitted doll!! Oh she is just delightful, and going to a really good home where she will be loved. Oh, she will be loved with lots of drools heheheh!!! :) <3 Thank you for your comment! You did such a beautiful job! I hope I am lucky enough to win your next giveaway! Thank you!!! I’d love to do another giveaway as well in the future!! 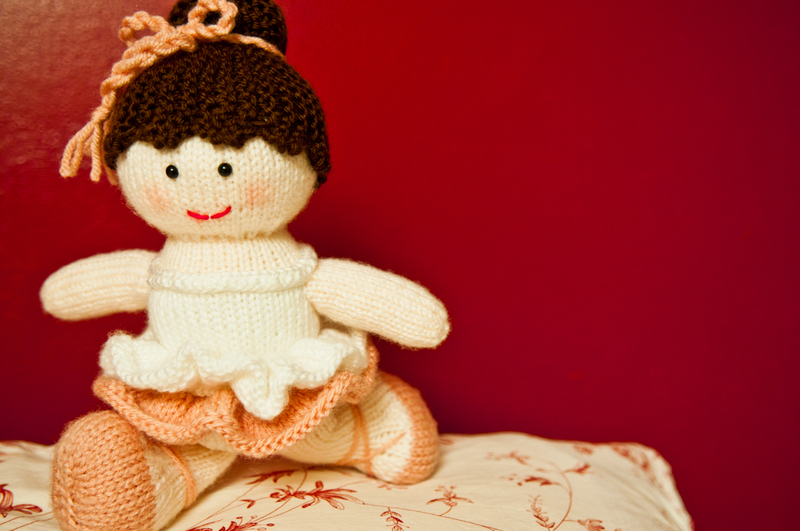 I really enjoyed knitting this ballerina! my goodness, this is so adorable! I love your dolls. thanks for visiting my blog! What a cute doll. You are so creative. Thank you!! I wish I could take all the credit but I have to thank to Jean Greenhowe’s for writing such wonderful knitted toy patterns!! I admire your skill and patience. I doubt my fingers would obey my brain to work such detail. The doll is a work of art. awwwwww that’s sooo sweeetttttt!!!!!! THank you!!!!!! How beautiful! The details are amazing. Gorgeous work! Expertly crafted. Is this your own design? Thanks for visiting my blog http://www.handmadeandhomespun.wordpress.com. God bless. Thank you!!! The design is by Jean Greenhowe!! I do hope to be able to design my own toys in the future! :) Thank you again for visiting my blog! So cute! I subscribed today so as not to miss any of your great posts. You did a beautiful job and I love the poses of the doll, so funny. You are going to make one little girl VERY happy. Thank you!!! I hope the little girl will love it as well!!! Thank you!!!! <3 I will make sure to keep you entertained with future posts!! She is lovely! Is this your own pattern (and do you offer it for sale?)? Adorable! 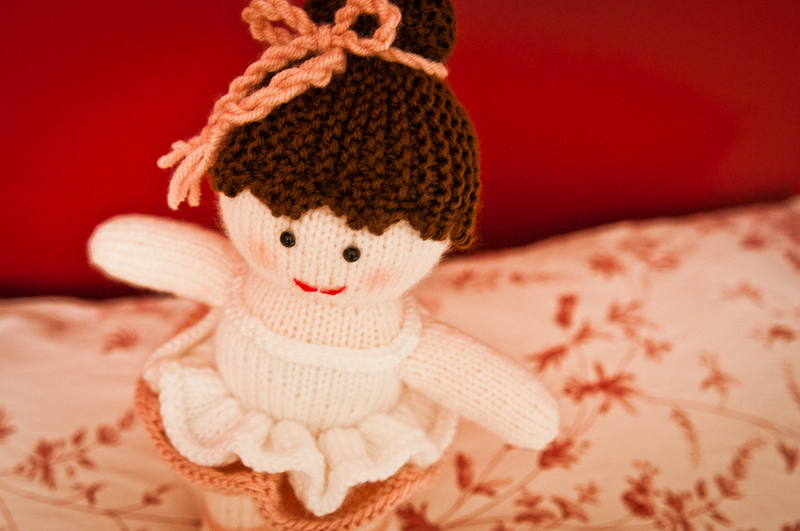 I have a 5yr old ballerina that would love this doll. hahahha ya, the anonymous makes it seem so mysterious!! 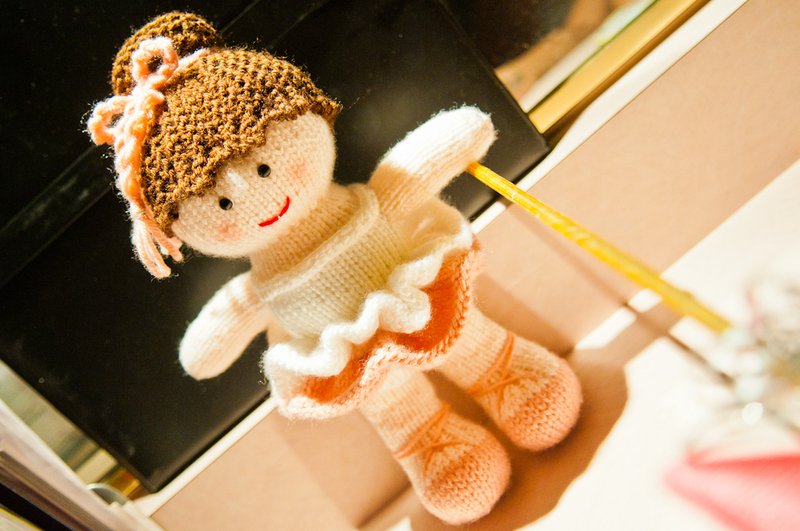 :) You should definitely knit the ballerina! 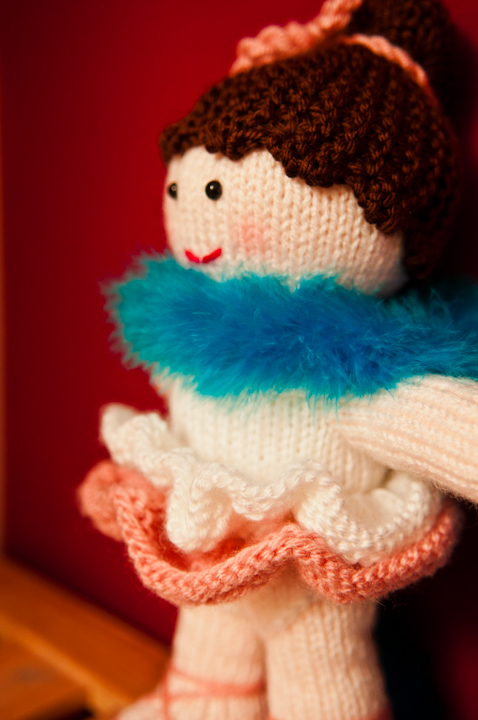 I love your beautiful knitted balarina! Hi there, thanks for visiting my blog and sorry it has taken me so long to come and say hello. I have good intentions then get distracted and then forget!!! Your woollie creations are great and I bet they give you such a warm feeling of joy when they are finished. Thank you for taking the time and commenting!!!!!!!!!! !